Fly fishing for the Smallmouth Bass in South Africa can be a tough and daunting prospect, but do not worry, here at Fish The Fly we are here to help. 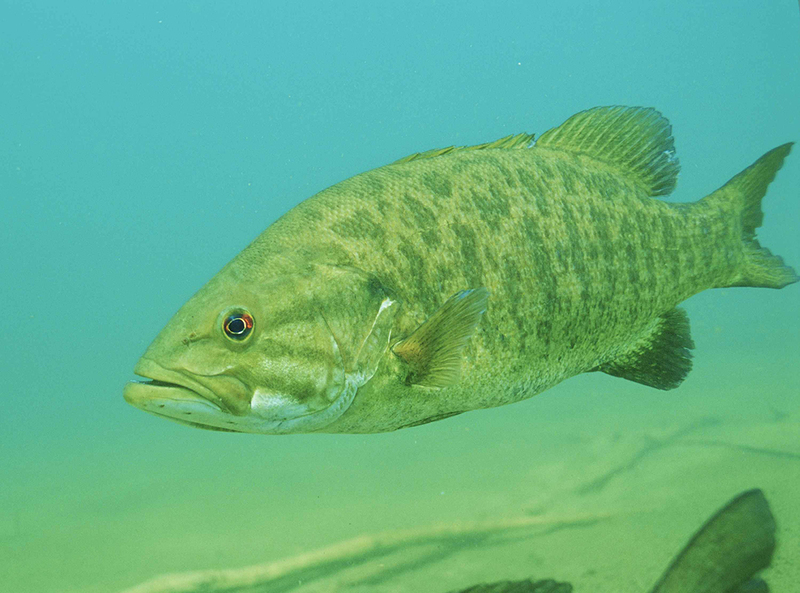 Smallmouth Bass can be a lot more aggressive than their cousins, the Largemouth Bass. Finding Smallmouth Bass in South Africa is the biggest obstacle you will face when fly fishing for this freshwater fish. There are a few rivers around the Country where you can look for Smallmouth Bass, in the Western Cape and the Eastern Cape mainly. There are dams and a few streams in the Highveld regions and KwaZulu Natal that also hold good populations of the Smallmouth Bass. It is best to talk to someone who lives in the specific areas, or a guide, to find out where the greatest chances are of getting a Smallmouth Bass on fly are. The Smallmouth Bass is known to reach lengths of 60 centimeters, and the South African angling record is close to 3 kilograms at the time of writing this article. Smallmouth Bass are an invasive fish species in South Africa, and they are a huge threat to our smaller endemic fish species, such as the barbs, minnows and redfins. There is a plan to eradicate Smallmouth Bass from the important rivers in South Africa, especially in the Western and Eastern Cape. 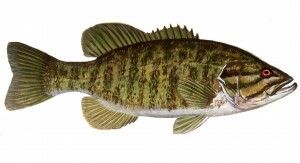 The Smallmouth Bass is one of three species of Bass found in South African waters, and is in the group of “Black Basses”, it’s scientific name is Micropterus dolomieu. It was first introduced into South Africa in 1937 as an angling fish, but besides the many smaller fish species it put in danger, it caused havoc with the Whitefish, Sawfin and the KwaZulu Natal (Scaly) Yellowfish, bringing their numbers done due to predation. This fish likes flowing water, which is one of the many reasons it has adapted to our Trout streams and Yellowfish rivers so well. 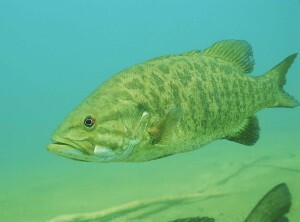 The Smallmouth Bass prefers areas with loose gravel or rocks below the surface, and they breed during Spring and Summer, constructing “nests”, whereafter the male guards the eggs until they hatch. The peak time for breeding is when the water reaches about 16 degrees celsius. 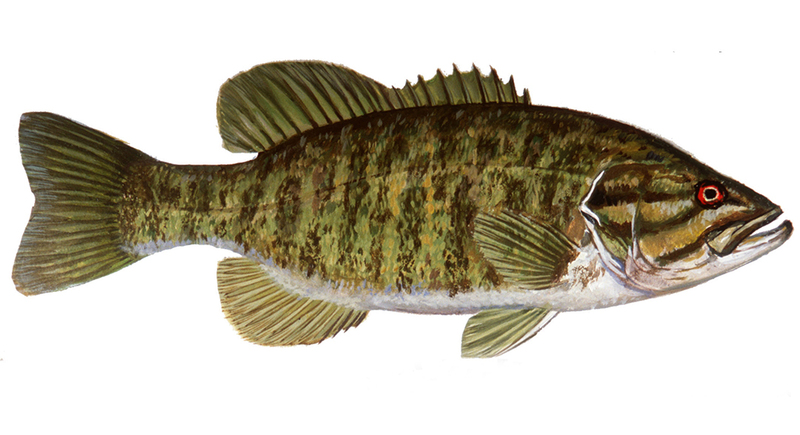 The Smallmouth Bass is primarily a piscivore, meaning its primary diet is fish. They also prey on amphibians, insects and crustaceans. They can live up to 15 years in South Africa. A 6 weight fly rod and reel is perfect for Smallmouth Bass, but you can use anything between a 4 weight and 8 weight to target this species. The great thing about the Smallmouth Bass is they are not afraid of taking flies on the surface. So big dry flies and poppers can be used to tempt these fish from structure; they love structure. Depending on how heavy the structure is where you are fishing, will depend on what tippet you use. We would recommend 10lb tippet on a tapered leader as a general guideline. Using loating line is the best and most fun way to target these fish, but a sinking or intermediate line can be used in deeper holes in rivers or dams. 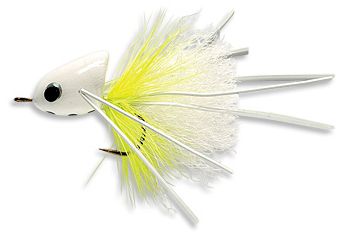 The Woolly Bugger and Deer Hair Mouse are great flies for Smallmouth Bass, and catching these fish on the surface with a Popper or Deer Hair Mouse is exhilarating. Whilst writing this article I came across a floating fly that is used in the USA extremely successfully for Smallmouth Bass, so I think we should have a look at this, get to our fly tying stations and give it a few casts! The Largemouth Bass will love it as well.